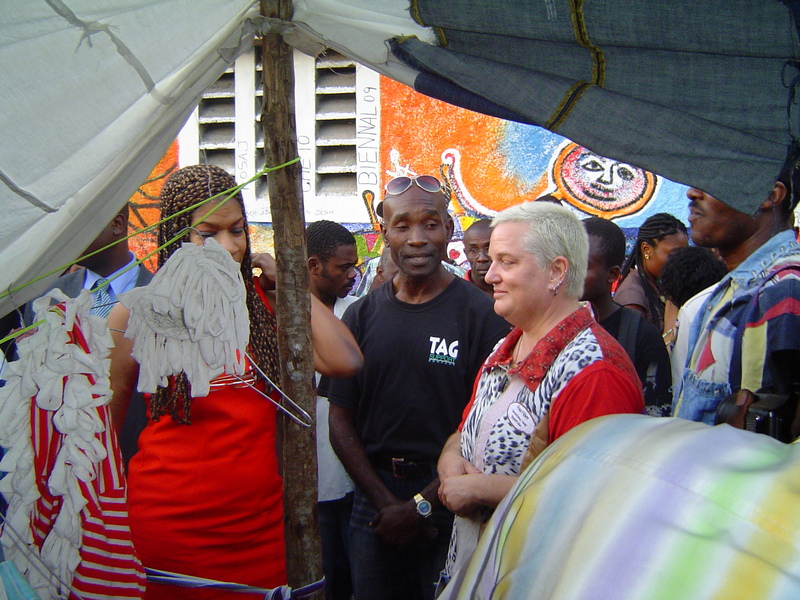 Frau Fiber is introduced to the Minister of Culture, of Haiti, Marie Joslin Lassergue. Minster Lassergue, stated, “this is good for her people”. She inquires how she can get a Made in Haiti bag. Frau Fiber responds, “With a purchase you get a free bag”. The Minster says, “I will purchase something”, she looks around, chooses a burnt orange gathered mini skirt, and one of her body guards puts 20$ (4, 5$ USD) into Frau Fibers hand. Cameras flash and the visit is over.